The moment when the relaxation sets in after that first hour or two. Baby skin on skin with Dad. Mum, with her cocktail of love hormones, tiredness and adrenaline, relaxing and enjoying seeing her partner uncovering the emotions of being Dad. I love this moment in the process, so satisfying, so beautiful, so complete. Welcome sweet Maylin. You came out all covered in vernix and quite feisty, letting us know you were ok and then very quickly you turned into the most chilled baby ever. You are so loved and your mama is so happy to love you on the outside of her belly now where she can see you and know you are growing and well. The answer is easy. A doula is unbiased and nonjudgemental in her support of the choices you make but biased in her support for you. No opinions, no pressure, no assumptions. Just busy making sure you feel supported in the process every moment of the way!! With every birth I support I realise a little more just how important non-judgemental, unbiased doula support is. YES! A doula can and, in my opinion, should be unbiased in her support? This means I will always support you no matter what! I am the only one in the room that can do that without any responsibility for an outcome. I used to believe that unbiased support meant that any choice my client makes is fine, as long as they know all the choices they have. However, it has taken a long time, and over 200 births, to realise that this belief does not encompass all that unbiased support means. The extent that people want to know the choices they have is different with each client I support. Some people make their decisions by doing research and others don’t, some women feel connected to the birth process and others see it as a means to an end. Some women have a history that drives their decisions and others are happy to just let the doctor or midwife decide. I don’t need to change that and I do not need to put all the choices before you if you are not asking for them. From a planned induction to a vaginal breech birth, from wanting continual monitoring to requesting an early epidural, from wishing to stay out of the bed during labour to planning a home birth with your children around you. You are capable of making decisions and yes, even when you are having contractions! I will meet you, get to know you and go on a journey with you to discover how you are wired and what it is you need to have a good birthing experience. That journey is our whole time together from the first to the last meeting with the birth of your baby somewhere in between. 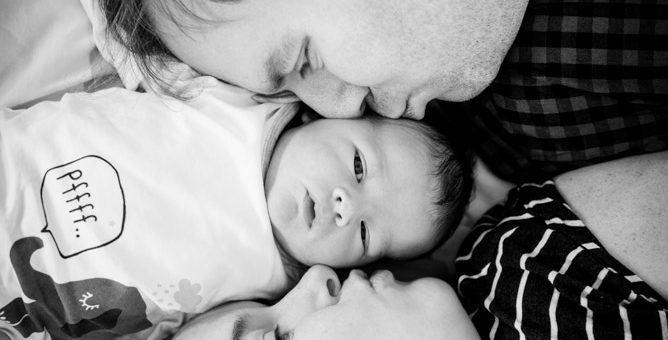 Things change on journeys and twists and turns happen on the road to becoming a parent. Good, realistic preparation makes for less surprises during labour and better navigation of those unexpected twists and turns, because believe me, those twists and turns will happen! You can’t plan birth! Supporting couples from many different cultures and backgrounds has shown me that there are many reasons and experiences that make us the way we are and that influence how we make decisions. It is my job to ensure you feel supported in the process, in whatever choices you make and with whatever conviction you make them. As your doula, I will gently say ‘Do you have all the information you need to make this decision and do you have any questions?’ and when possible I will try to facilitate the time and space for you to process. No opinions, no pressure, no assumptions. I am not perfect, it is not always easy but I try my hardest to hold up this value. Non judgemental & unbiased support! Let me tell you about yesterday. You can’t plan birth right? Well as I came closer to my 200th birth I knew I couldn’t plan which birth it was going to be but I had one in mind that I really wanted it to be. 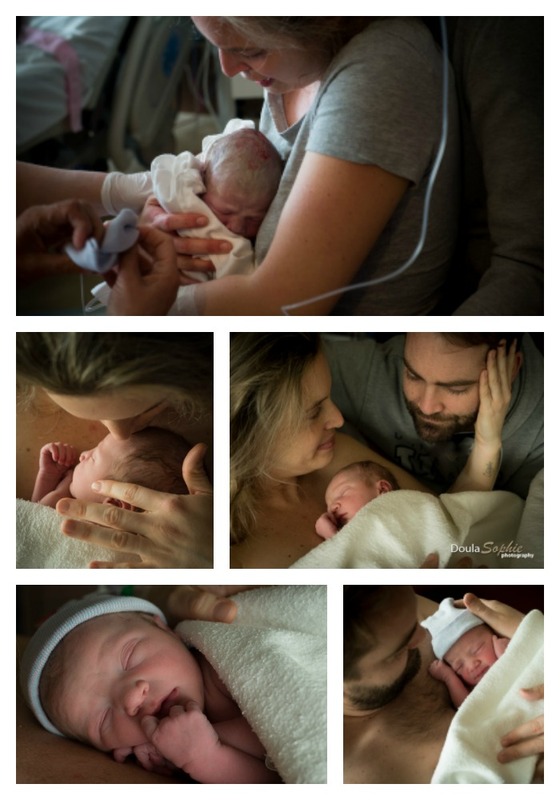 The story starts with this birth back in 2016 when I made a deal to be the doula for a very special birth photographer. The deal was we would do a birth together one day and she would photograph me at work. If there are photos being made at a birth I support, I am always the one behind the camera so I don’t have many photos of me at work. 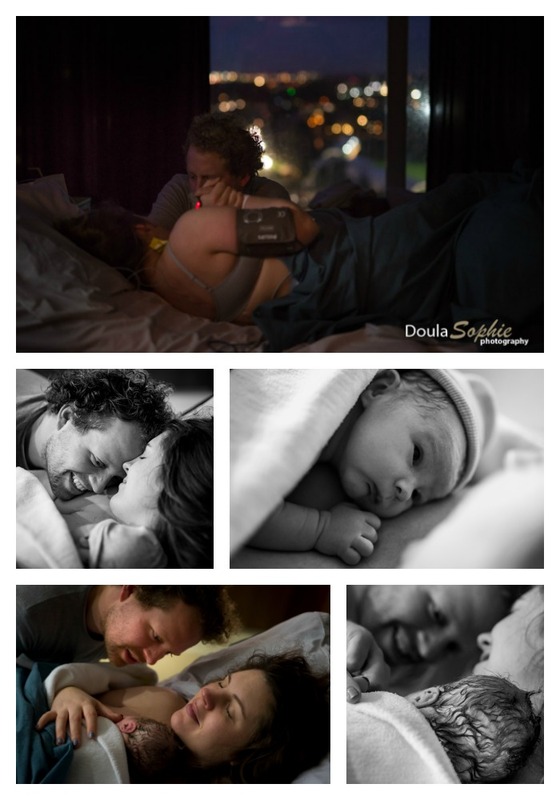 It took a long while to find a couple willing to have a doula and photographer. Finally Deborah had a repeat client who wanted to have a VBAC. As I had helped support Deborah to have a VBAC herself she was enthusiastic to suggest this couple have a doula too. We met and everyone was excited. A win win for everyone involved. That ‘one day’ turned out to be my 200th birth! So I am super happy and there is a video being made of the beautiful images that Deborah made of me at work. I also took a few pics of her at work and the client had a vaginal birth. What a day, what a team, this is one happy doula! Emma, Evi & Emma Katherine were all born this week. That finishes up all the waiting in January as they all decided to come together. Now waiting for my 200th birth. Who will it be? The last baby in my agenda for 2018 has been born and this doula is off call until January. The last baby in October was the 190th birth I attended, almost at 200 and I am busy thinking about how I want to celebrate that. In November, and the beginning of December, 5 beautiful girls were born and one handsome boy. Now its time to do projects in the house, enjoy a weekend away in Cologne, Germany at the Christmas markets with my hubby, cook for my kids and their lovely girlfriends and enjoy a family Christmas. Then its off to friends in Geneva, Switzerland for New Years. 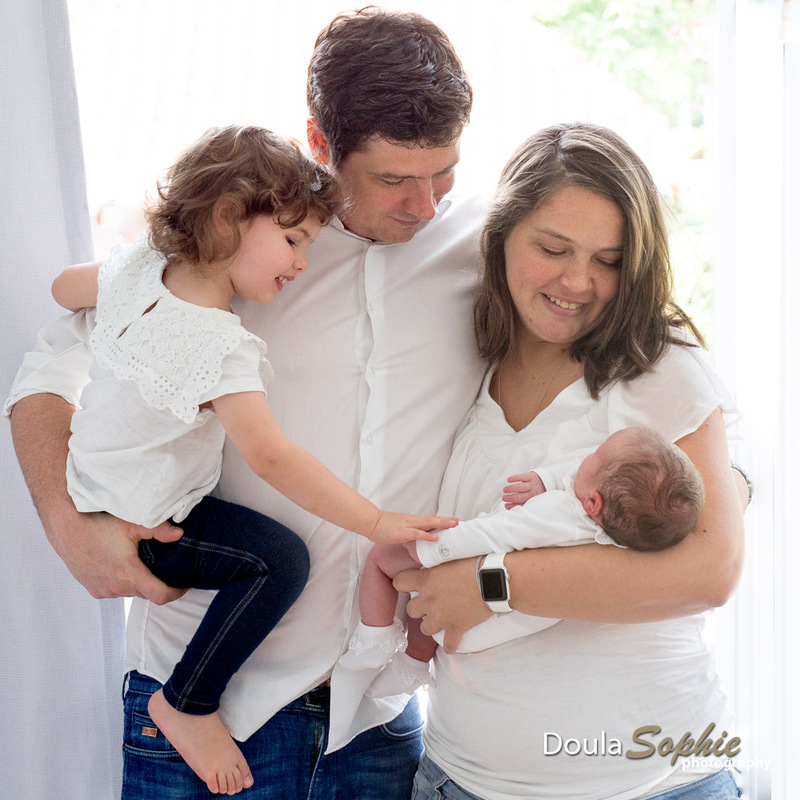 I witnessed this couple become parents 3 years ago when they hired me as their doula after taking the Confident Birth course which I teach at Birth in Holland. Then earlier this year I got a sweet text message saying they were expecting again and couldn’t imagine giving birth without me. Walking back into a family after a few years is so natural and feels like seeing old friends, like I am their family doula. 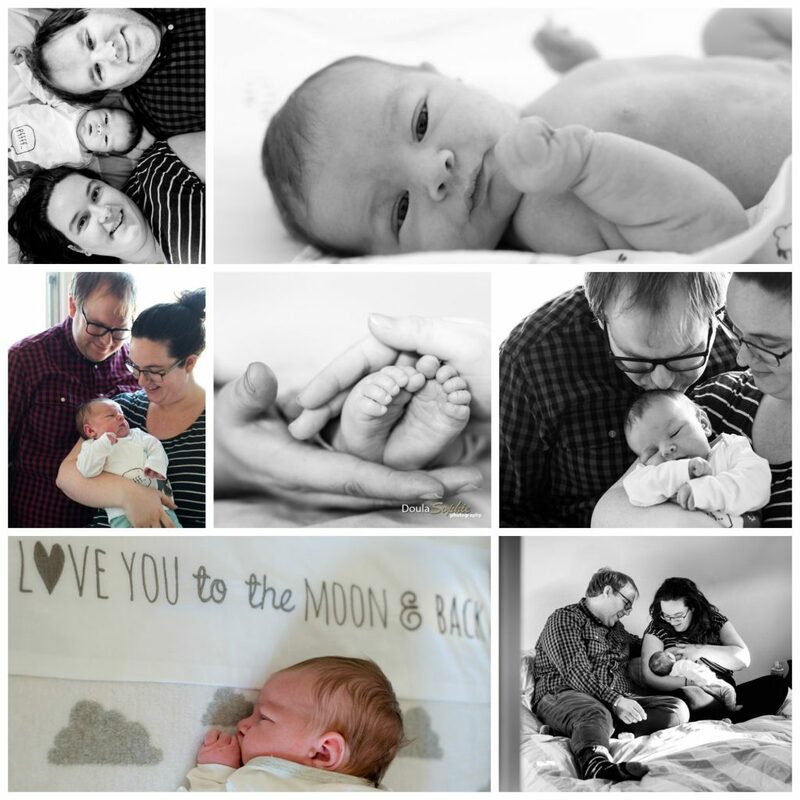 Lifestyle Newborn shoots. I give a 50 euro discount to doula clients and particularly love it when I get to photograph repeat clients. Check here for details. Welcome to Toby, Chris & Iarla. Turn the lights down! 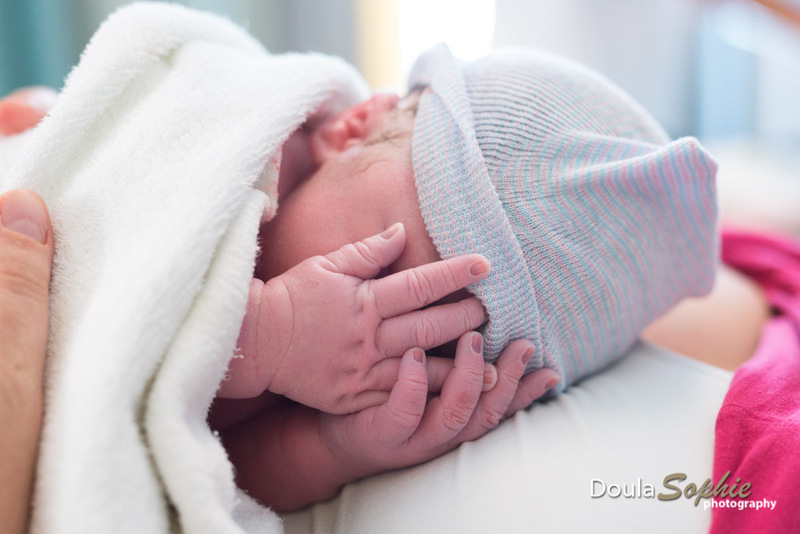 This little one kept his hands in front of his face for the first 15 minutes of his life on the outside. Babies need to get used to the light change from inside the womb. If you give the baby some shade with your hand or turn the lights low they usually open their eyes very soon after birth. Most of my clients use the TENS machine. See here for an explanation of how the TENS works. The use of the TENS is hugely under-rated for early labour, during active labour and I discovered recently that it is also awesome for post birth contractions! Many insurance companies will cover the cost of the TENS machine for labour and birth, so check with your provider before purchasing one. Midwife practices also have them often to rent. As far as I have observed in my practice the TENS never has negative affect. I have observed several times that the cases where I have had mothers not like it has been when the baby is in a posterior position. The TENS does, at a certain point AND usually during the transition phase, have less of an affect. If you take it off at that point the woman often notices and wants it back on again. This would suggest it is still having some affect. The research on the tens machine for labour is not very extensive but here is a link to Evidence Based Birth for a summary of the research. The TENS machine is also fantastic for induction. It is best to start using it simultaneously when the synthetic oxytocin is administered and it will trigger the bodies own hormonal system to produce endorphins, your natural pain relief. These are the hormones that are released to help you cope with labour. They are bypassed when synthetic oxytocin is administered into the blood via an IV. This is the reason many women experience induction as more painful than natural labour. The natural hormones are not helping with the process. The TENS can help with that or help tide a woman over until she can get medical pain relief. 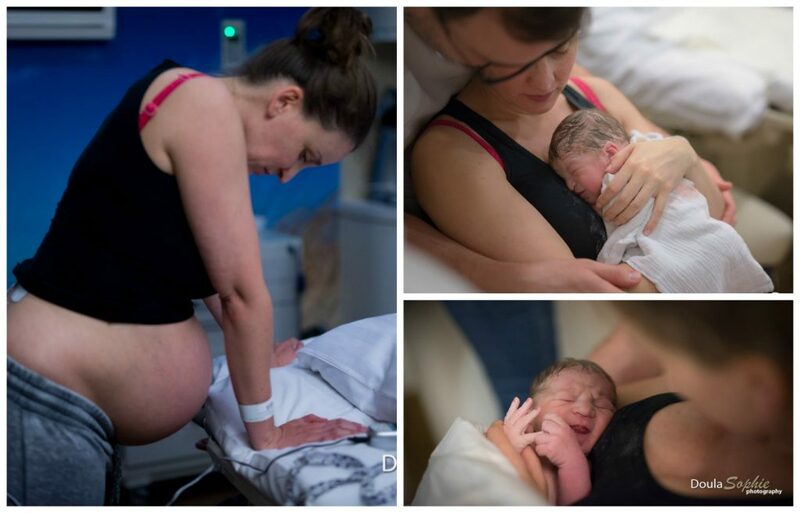 This beautiful VBAC mama used the TENS machine to help her through a very long labour It supported her past that dilation point of her 1st birth, and onto a natural vaginal birth. If the TENS is only put on during active labour then the affect will be much less as the pain being experienced is usually already high. Double natural pain relief. The TENS does not interfere with other pain relief options except for water of course. So getting your partner or doula to do the hip squeeze & having the TENS machine on is a great combination and can help even better against the use of medical pain relief. . Gentle cesarean! Mother & baby are not separated during or after the operation. Baby is born, checked and then tucked under the sheets for skin to skin cuddles with Mama while the operation is finished. Better for mother, better for baby, better for bonding and breastfeeding. This helps to make this un-natural but sometimes necessary way of giving birth a little more gentle and a lot more enjoyable. 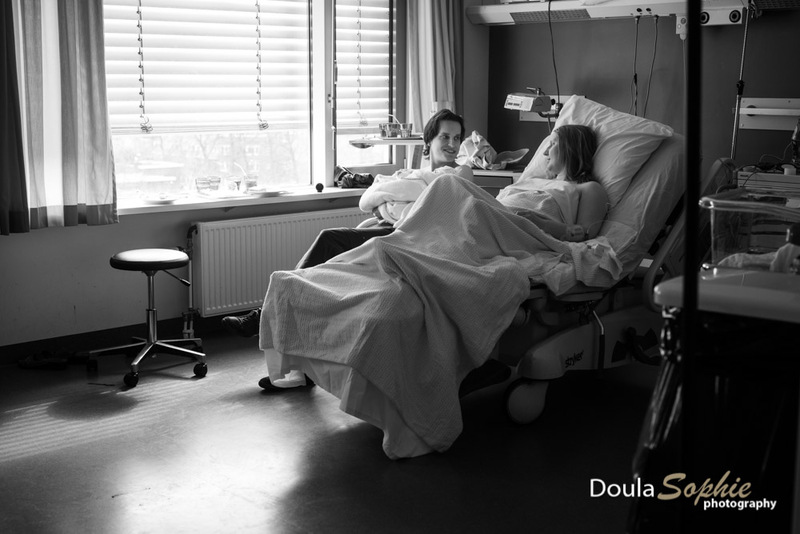 In The Netherlands, when you have had a cesarean in your history, you have the option to opt for a vaginal birth or a planned cesarean. With a planned cesarean it is usually a gentle one. When the labour process ends up in a cesarean it is always worth asking for a gentle one. Most hospitals will try their best to facilitate this if they can. When their first daughter was born she needed help to breath and spent a night in the NICU. Now she is an energetic healthy girl as you can see here above. So when they got pregnant the second time there was a strong quiet hope that their new little one would not have this problem at birth and be able to stay on her mothers chest for a long time, skin to skin after being born. 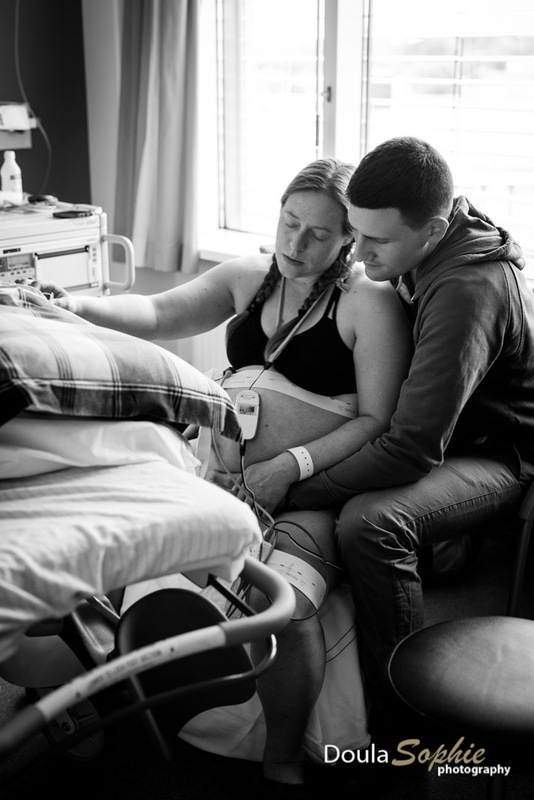 They knew this one was strong and energetic, she let them know that throughout the pregnancy, but still there was a silent fear that when the time came to push her out, the same thing would happen. When you always thought that a fast labour would never happen to you and then it progresses so fast and you think you can’t make it and ask for pain relief. When you are not prepared or willing to accept the fact that there is not much point in pain relief because you are almost ready to push your baby out. When there is water, warm water that helps you through transition. When your doula convinces you to change your mind set because quitting just isn’t an option. And then you do!! You change so incredibly well that you birth your baby on the birth stool and rock it like a boss! Thats when you show yourself you are strong and enter motherhood with a bang! 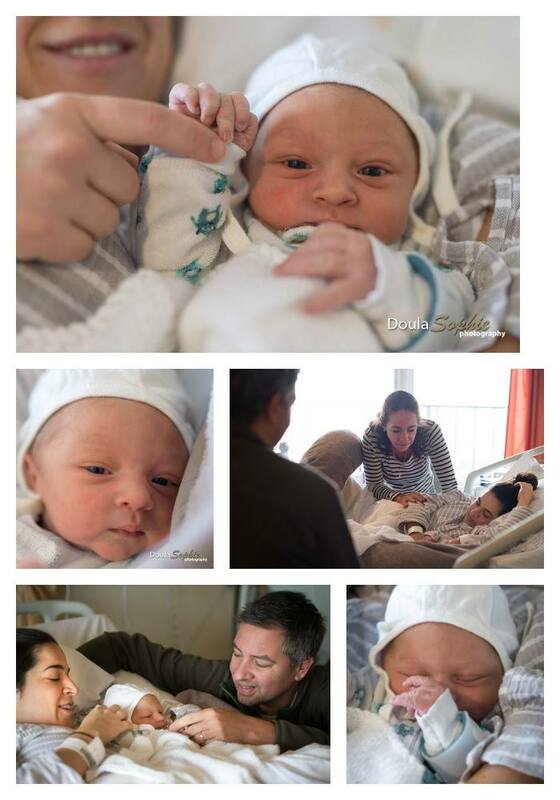 Last week this lovely repeat client gave birth to the cutest baby boy ever. In the early hours of yesterday morning a sweet 1st time mama had a very special birthday gift. 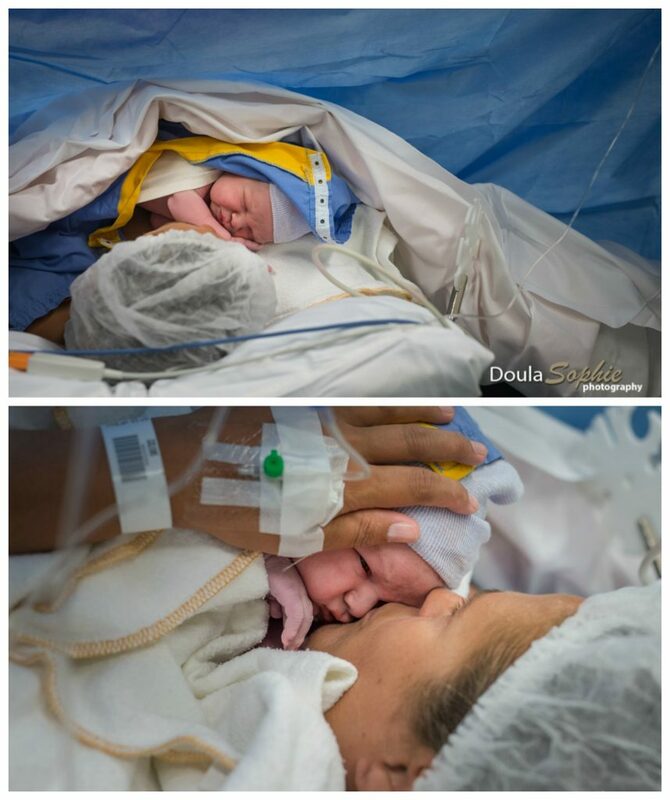 In super tempo she gave birth to her baby boy unexpectedly at home in the bath. I arrived, 2 whole minutes before the midwife arrived, and just as the head was being born. 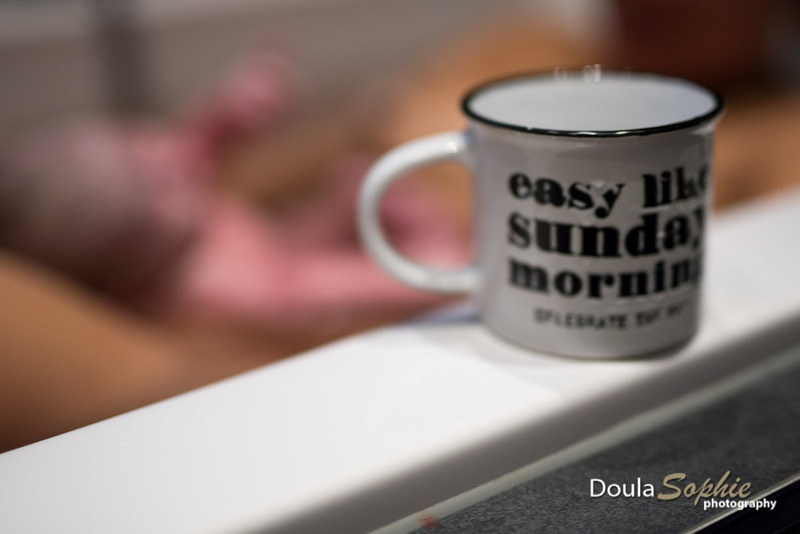 Shortly afterwards the papa grabbed a mug so he could pour warm water over the baby in the bath to keep him warm and we all smiled when we saw what was written on the mug: Easy like Sunday morning! Happy Birthday mama and son! This sweet little baby boy is the little brother to Jan whom I also witnessed come into the world. Welcome Edward. First Aid in English – Make your home a safer place for your little ones. If you’re a parent, grandparent, family member or babysitter, learning first aid can give you confidence to save a life when it really counts. In our First Aid workshop – EHBO, we cover a range of different conditions and techniques – including the most common household accidents that occur with babies and young children. You will learn first aid advice for many household accidents, from dealing with a choking child or baby, to recognizing the signs of meningitis and other illnesses. Our PBLS (Paediatric Basic Life Support) workshop focuses on resuscitation techniques for young babies and children following the European Rescuscitation Council guidelines. Join us, it is a lot of fun, you will love it and feel more confident afterwards!! 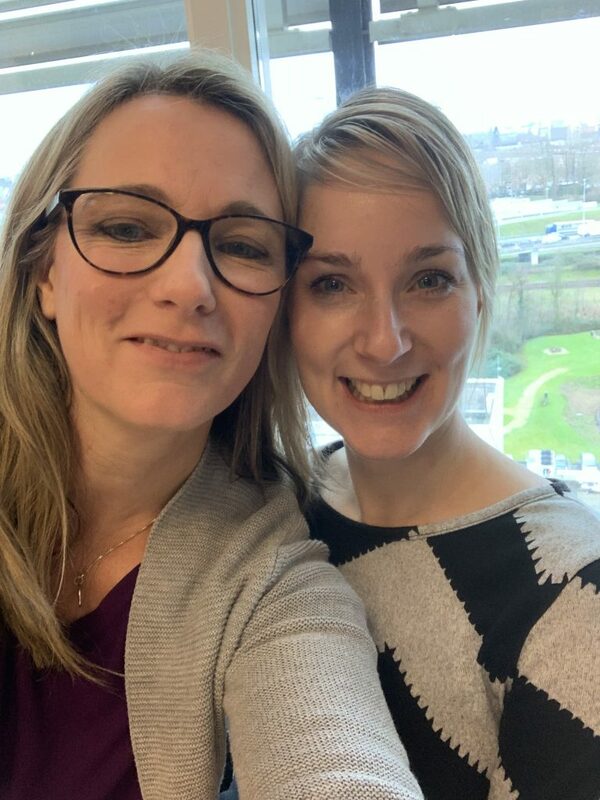 Loving our new Baby & Mama course over at Birth in Holland. This course gives new Mums and their babies the opportunity to meet and spend time with other new Mums while developing new nurturing skills and spending time gently activating their bodies. My partner, Farola, and I teach four morning sessions. We try to create a supportive and nurturing environment that will set mothers up with skills they will find useful now and for months or years into the future. The sessions begin with baby massage and movement for optimal infant development. The new Mums will develop skills on how to handle their baby confidently, helping them to relax more fully as well as discovering how to support them developmentally. There is of course time for tea and the opportunity to get to know others in the group. There is space to share experiences as well as discuss issues relevant to new life as a Mum. This is a wonderful way of learning and increasing confidence. The importance of touch & massage to soothe your baby. What does it mean to be a good Mum? How do you deal with the ‘well intended advice’ of others? After tea, Farola, our pre and postnatal yoga expert, facilitates a time to gently nudge Mums body back in shape with a focus on easing aches and pains and releasing tiredness and tension. It is an easy slow pace that allows the mothers to work with their baby alongside them. These sessions nourish both physically and emotionally. We know that babies can be unpredictable and need feeding when they decide they need feeding and cry at unplanned moments. We aim to create a relaxed atmosphere of acceptance where these things are possible and we go with the flow and remain flexible. 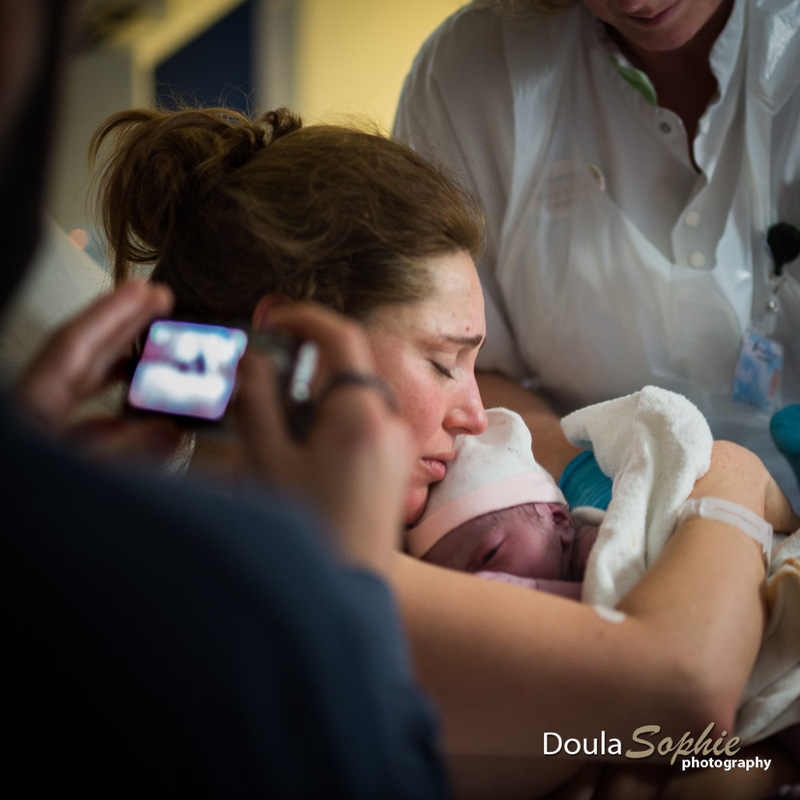 Doula’s are not just for natural birth! Doula’s are NOT just for natural birth. Doula support is valuable whatever twists and turns your birth may take AND/OR whatever way you decide is the best way to birth your baby. See this feedback from a client. This is a blog I wrote about Nan’s story. Sometimes birth is so damn hard, sometimes you are that woman that falls into the high risk percentage. Sometimes you have to fight with every fibre of your being to birth your baby in the way you feel is best for her despite yourself. But when she is born and put on your chest you forget the pain of the past and for a moment it is worth it despite the price. Time to share some of my favourite images from 2017 and some interesting facts about the 31 births I supported. 14 boys and 18 girls, 27 hospital births, 2 vaginal breech births(both personal highlights) 7 women used medical pain relief, 8 used birth pools for pain relief and 4 gave birth in water. 5 C-sections, 2 of which were failed inductions at 42 weeks. 6 inductions. 3 vacuum deliveries and 2 of those without episiotomy. 18 international families, 19 first time parents, 3 midwife mama’s, 1 surrogate birth, 1 vaginal twin birth and 4 births doing photography only. 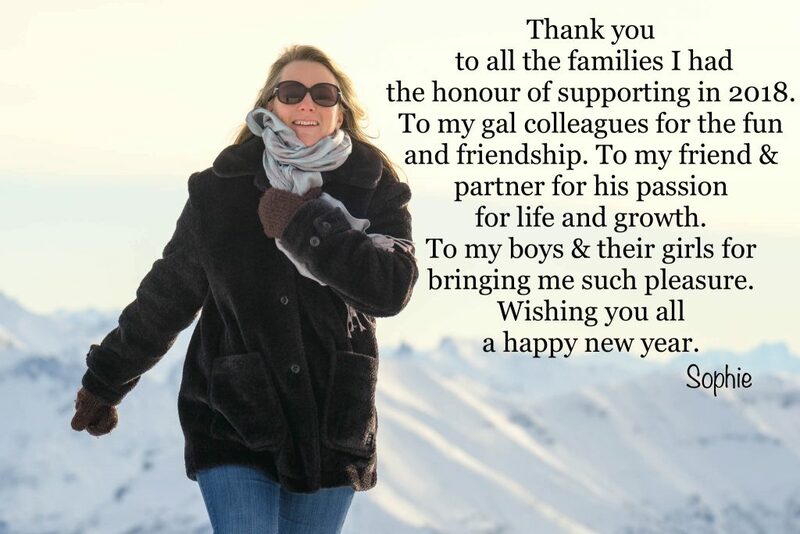 I am very thankful for a year of supporting so many wonderful families. It will never stop being such a privilege and honour to be a part of so many peoples stories. “Wanneer ik terugkijk op mijn bevalling voel ik mij krachtig en trots. Ik ervaar ontzag voor het leven, voor het vrouwelijk lijf, voor mijn lichaam. Voor hoe ik mijn dochter negen maanden lang droeg. Voor hoe ik haar daarna op de wereld zette; alle pijn, angst en wanhoop in mijzelf aan moest gaan en uiteindelijk aan kon gaan én overwon.